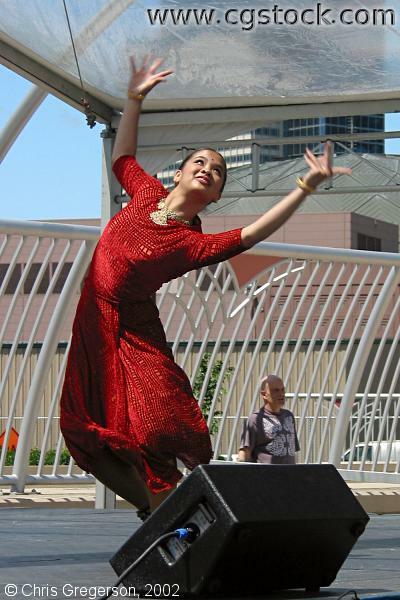 This dancer is from the Ragamala Music and Dance Theater. The performance is for the new Marshall Field's Frank Lloyd Wright Bridge, which crosses over Interstate 94 on 3rd Avenue. The Minneapolis Convention Center is in the background. Ragamala specializes in the South Indian dance form Bharatanatyam.